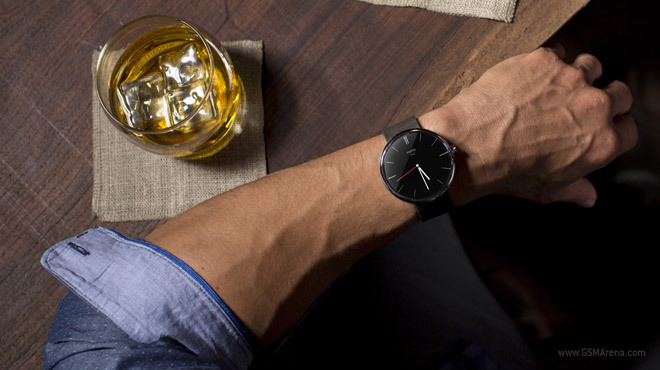 Motorola unveiled the first smartwatch, the Moto 360, something many people have been waiting for. But the company kept most details a secret – we know little except it on the new Android Wear platform, so we have to rely on rumors to fill in the blanks. The screen is reportedly an OLED but even the rumors are mum on size and resolution. The smartwatch is said to feature a sapphire glass protection, which is usually reserved for high-priced watches. Aside from pricing worries, people have been wondering about battery life. The Moto 360 is said to feature wireless charging, which should alleviate the issue – you will be able to just drop the watch on the charging pad before going to sleep. Motorola has only said that the watch will feature a “secret” charging method and no USB. Anyway, wireless charging just makes charging easier, it won’t help you if you forgot to charge the watch altogether. There are no official numbers on battery life or if the display will be always-on or not. There are even more basic details about the Moto 360 that are unavailable – there’s no price and the launch date is some time in the summer, but that’s it. US will get it first, but we’re hopping that Motorola will do a wide launch, unlike the Moto X (hey, we can dream).